Since the edition of ROWAphos in my reef tank this Pocillopora verucosa, as evidenced by its pink growth tips, has grown considerably. 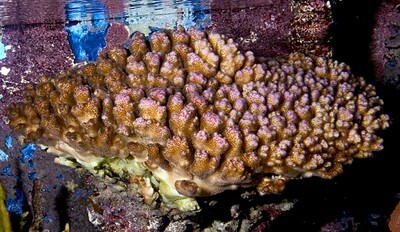 It is possibly Pocillopora meandrina. It’s hard to tell without a skeleton examination.